Welcome to Gate Automation products from TASK Community Care. We are European and North American distributors for SENTRY Automation Products, manufactured by world leading automation company Martin Electronics. Please call us today to order larger quantities and ultimately better prices. SENTRY 433Mhz Code-Hopping Receiver with 1000 User Storage Capability. 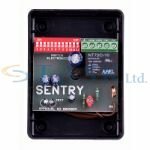 Advanced Superhet Code-Hopping Receiver The SENTRY 433Mhz, single channel, 1000 user receiver is an advanced receiver designed for access situations where a large user base is present. This product is made by Martin Electronics, One of the world's leading automation companies. 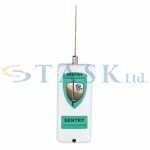 The SENTRY 433MHz Binary receiver is a receiver designed to receive and decode classic binary transmitters that operate in the 433MHz range. The SENTRY Binary One and Three are two variants of binary transmitter operating in the 433MHz range. These are standard dip-switch type remote controls that feature up to 4096 unique codes in the binary transmission, in either one or three button option. These transmitters are configurable to operate as standard remote controls or in "split code" mode of operation for townhouse complexes where a given transmitter may be used to control multiple devices such as gates and garage doors, alarm systems and the like. The SENTRY Code Hopping transmitters are secure products utilizing KEELOQ encryption, operating in the 433MHz range. 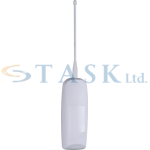 The SENTRY Code Hopping Remote Control transmitters are secure products utilizing KEELOQ encryption, operating in the 433MHz range.This Remote Control is a three Button Variant. The SENTRY Code Hopping transmitters are standard encrypted remote controls that generate unique encrypted transmissions with each keypress, in either one, three or four button option. Employing secure KEELOQ encryption, they provide the ultimate level of security- they are exceptionally resistant to code grabbing. The SENTRY Long Range Four Channel Transmitter is a high power code hopping transmitter that is suitable for industrial and domestic applications, where an exceptionally long range is required. The typical uses include long range operation in large estates, or in areas where normal wireless products perform poorly due to clutter and/or interfering objects/structures. 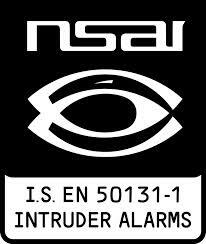 The SENTRY Code Hopping Receivers are secure products utilizing KEELOQ encryption, operating in the 433MHz range. SENTRY Long Range One Channel Receiver is a superheterodyne receiver that offers good range suitable for industrial and domestic applications. The typical uses include long range operation in large estates, or in areas where normal wireless products perform poorly due to clutter and/or interfering objects/structures.